This past week saw a member of our family pass away after a courageous battle with cancer. Fortunately, he was a person who insisted his finances and related affairs were in order to make the transition to his survivors a manageable task. But, it is by no means easy. No one wants to deal with the death of someone close, nor use the word death. But death is what it is and we have to deal with it. Many clients inherit completely different situations. While the decreased may have felt that they had their affairs in order, many do not communication it clearly to those tasked with settling their estates. Dealing with finances after a person dies adds another level of stress to an already stressful time. We all know that any day can be our last, but few people make a plan for handling the financial decisions the surviving spouse or family will need to make. Avoiding the discussion around death is understandable, but eventually life continues, creditors want their money, and stewardship of assets needs to continue. Here are important tips that can help you, your spouse, or any loved one, such as an elderly parent or unmarried child, plan for the unexpected. The first advice for those who’ve had a death in the family: Don’t rush into anything. Under emotional stress, people may make rash decisions they later regret. Someone who loses a spouse, for example, may hastily choose to move in with a child or sell their home, or may fall victim to nefarious salespeople. Don’t make wholesale changes with your investments until you’re emotionally ready to do so. If your family member had a financial planner or advisor, this should be a primary point of contact. This person can handle finances, including tracking down accounts or coordinating with estate attorneys, while you deal with your emotions. Even though you may have helped others with a loved one’s death, you won’t fully appreciate all of the emotion and stress until you experience it firsthand. No financial adviser? Enlist help from other family members. Don’t try to do everything yourself. Be sure to request copies of the death certificate, generally from the funeral home handling arrangements. Ask for help estimating how many and the type you’ll need, certified, long or short form, etc., because people often underestimate. Order at least 20, because you’ll need them for financial institutions, insurance providers and other companies. If the individual was still working, call the human resources department to notify the employer. Ask whether benefits coverage will continue for family members, whether there’s a life insurance policy and the name of the company that administers the retirement plan. Many couples don’t realize that assets held in an individual’s name do not immediately offer the right of spousal transfer. These include brokerage and chequing accounts. When banks learn of the death of an account holder (the estate has an obligation to inform the bank about the death), the bank can freeze the account. If there is no cash available in other accounts, then more dramatic steps, such as selling longer-term assets to raise funds (which may lead to taxable gains), may need to happen. Families often lack information when a loved one passes. Basic questions like “what assets were owned,” “where are they held,” and “what estate plan is in place,” are often left answered. It is suggested that a family member set up a “one-stop shop” to provide all needed information. This person should know about all assets and liabilities, passcodes, contact information for accountants, attorneys, and so forth. The less a survivor knows, the more costly it is to finalize matters. Laws governing personal debt such as home mortgages and car loans can vary by province. There are consumer protections, but lenders also have rights. Get prepared and then contact the servicer of the loan. You may need to prove that you are the named executor, and the lender will want a copy of the death certificate in order to speak with you. Every loan servicer has a department to deal with the death of a borrower, and provided you can keep the loan current, it is in their best interest to find an amicable solution. Cards can close automatically upon the death of the account owner; so you may need to arrange a new method of payment for services that have been set up on auto payment. If you are an authorized user on an account that was owned by the deceased, do not use the card after the main cardholder dies; because you’re not liable for the debt, use of the card after the owner passes could be considered fraud. The personal life and business life of an entrepreneur are often intertwined, and families of the deceased face a myriad of decisions about running the business. In some cases, the death of a business owner may trigger a stop in line-of-credit advances and could create an event of default. To avoid this, it can be beneficial to have a succession plan to keep the business running without interruption. 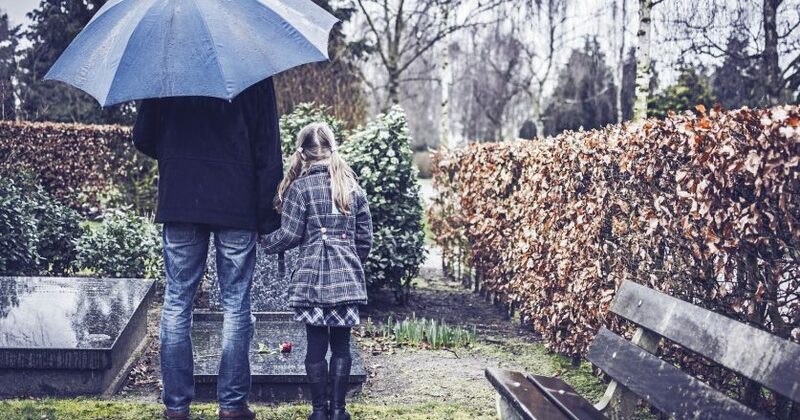 Learning during the grieving process is difficult; so don’t wait until a crisis to know about your investments, how your taxes are completed, and the basics of your financial plan. Know where copies of wills and trusts are stored and whereabouts of historical tax records. Be sure you know the user names and passwords for accounts you will want to access, including Google and Apple accounts that hold photos and family memories. If you don’t want to share information with a friend or relative, work with your bank trust department or an estate attorney. Know what life insurance is owned. It is important to know what life insurance is owned and to keep beneficiaries current to ensure that your assets go to the correct designated parties. Conduct a beneficiary review on your retirement plans, annuities, and insurance policies. The beneficiaries named in these accounts take precedent over any legal document you create. Therefore, you need to review each of these. If the decedent had a will or trust (or both), these documents serve as the guide for many financial decisions to come. A legal process, known as probate, will likely ensue for distributing property and assets, unless the estate is small or the trust is all-encompassing. This process is kind of daunting if you’re not aware of how it works. Work with a financial advisor, if you have one, or hiring a probate attorney to avoid probate court, if possible, because it can be a long and expensive process. If you’re named executor of the estate, keep track of expenses related to the family member’s death (including final medical bills). You may need this information when you file the person’s final tax return. In the absence of a Will, provincial law will govern the disposition of assets; so write down what you want to happen. Be sure to focus on all aspects of your life—not just financial. For example, your pets and family heirlooms are just two non-financial items you may want to include in your documents. In the next year, you must prepare a final tax return for the decedent, so collect all information that will make that process easier. In addition, you may need to file an estate tax return. Many people don’t think about what they’ll leave behind when they die. But if you’ve had to sort out someone else’s finances, you’ll appreciate how arduous the process is. No one wants to think about dying, but if you talk about it in advance and have a plan in place, it’s so much easier on the survivors. During this time of grief, the surviving spouse or family member(s) may not be in the best position to make sound financial decisions; so it’s better to be ready beforehand. While it may be an uncomfortable topic, proper planning can help immensely should you or your family ever have to face this difficult experience. The other main takeaway is to take your time with final affairs of a person who passes away. You may be dealing with the emotional and personal impact from the loss. You need to deal with things in a calm and thoughtful manner. If you are experiencing challenges with that, reach out. It could be a family member, close friend or a professional such as your financial advisor. Death is a natural reality of life. Think about how you would want others to handle your affairs. Being prepared and thinking ahead are ways of Keeping Life Current. Passionate entrepreneur, family man and Certified Financial Planner (CFP), Steve Bentley is the Principal of Northern River Financial. Learn more about Steve and the Northern River Financial team. Steve Bentley, thanks a lot for the article post.Much thanks again. Fantastic.